You see the light yellow or white flakes on your shoulders or in your hair. Those are the telltale signs of dandruff. Dandruff flakes are dead skin cells that fall off your scalp. When you have dandruff, your scalp may look scaly or red and feel itchy or raw. Scratching or rubbing your head loosens the flakes. You may notice them more when you wear dark clothes. Is Your Hair Care to Blame? Dandruff doesn't mean you have dirty hair, but the way you style your hair or the products you use might cause a flaky scalp. Some hair coloring and styling products can leave a flaky, dry residue or trigger a skin reaction that looks like dandruff. If you already have dandruff, not washing your hair enough can make your dandruff look worse because dead skin cells build up. You may want to try different hair products to see if they help your dandruff clear up. You can get dandruff on parts of your body other than your scalp, like your forehead, eyebrows, eyelashes, or ears. Flaky skin on your chest -- or anywhere you have body hair -- could be a sign of dandruff, which is a mild form of seborrheic dermatitis. If the skin on your body is oily or greasy or has a slight redness, that could also be a sign. Talk to your doctor about treatment. 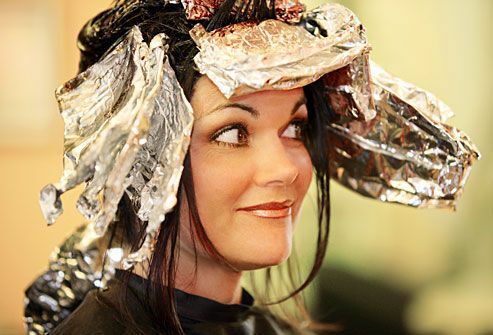 Salicylic acid gets rid of flaky skin but can be drying and can sometimes make the scalp more itchy. 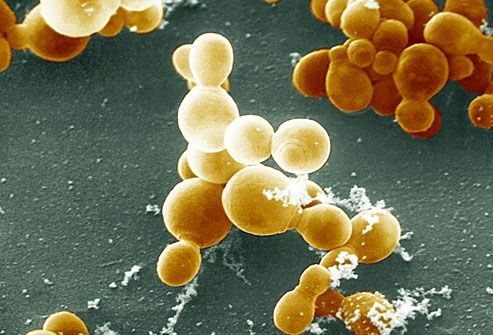 Selenium sulfide slows the buildup of dead skin cells and fights fungi. Tar slows dead skin buildup, but it may discolor blonde, gray, or color-treated hair. Zinc pyrithione attacks the fungus that may cause dandruff. Some research supports these natural dandruff treatments, but there's no proof they work consistently. Aloe. 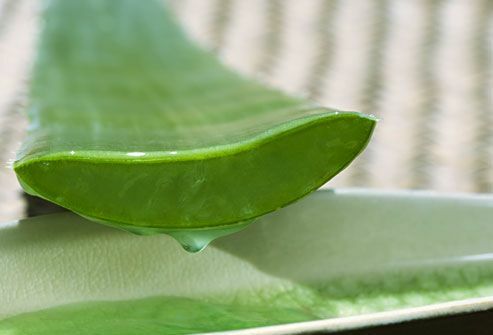 Using aloe on the scalp may help lessen itchiness and scaliness. Tea tree oil shampoo. Using a 5% tea tree oil shampoo may lessen dandruff and that itchy feeling. Lemongrass shampoo. Washing with a 2% lemongrass shampoo may help fight fungi that cause dandruff. Follow the directions on the dandruff shampoo label. Using the pads of your fingers, gently rub the shampoo into your scalp. Leave the shampoo on your head for 5 minutes -- or as directed -- before you rinse. 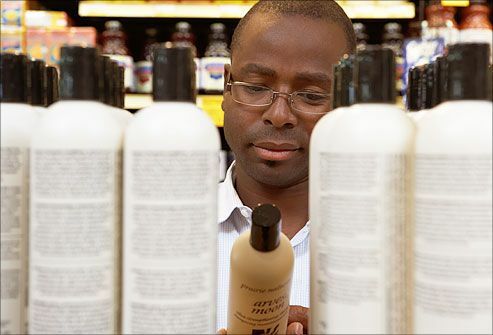 If you prefer the smell of your normal shampoo and conditioner, you can use those afterward. As your dandruff gets better, you may not need to use dandruff shampoo as often. Spend a little time in the sun to fight dandruff. Sunlight helps suppress the fungus that causes dandruff and seborrheic dermatitis. Just make sure to protect your skin, including any exposed scalp, by wearing a broad spectrum sunscreen that has an SPF of 30 or higher. If you've been using a dandruff shampoo for several weeks but still have dandruff, it may be time to see a doctor. 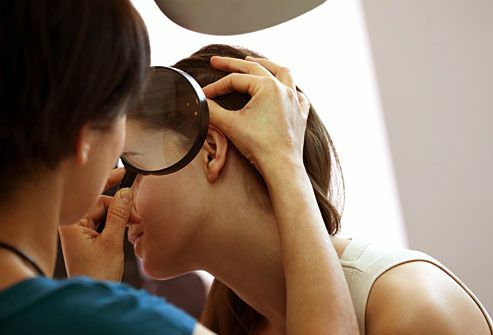 You should also see a doctor if your scalp is swollen or red, if your hair is falling out, or if you have a red, scaly rash on other parts of your body. You may need prescription-strength dandruff shampoo, an antifungal product, or a steroid cream for your scalp or other parts of your body. No one is really sure what causes dandruff. It's probably caused by a fungus. Hair follicles and oil glands make an oil called sebum, which may be a breeding ground for yeast or the fungus. 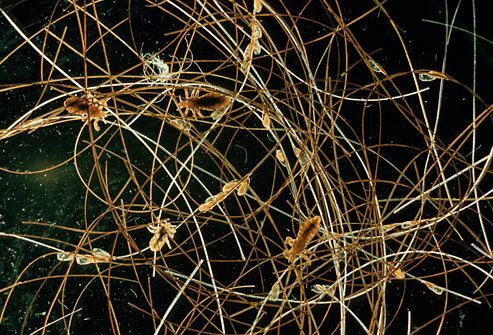 This fungus usually lives on your skin, but too much fungus may lead to dandruff. Too much sebum also may cause dandruff. Being exposed to a lot of dry air can cause skin to dry out and flake, which can look like dandruff. Dandruff tends to be worse during dry months. 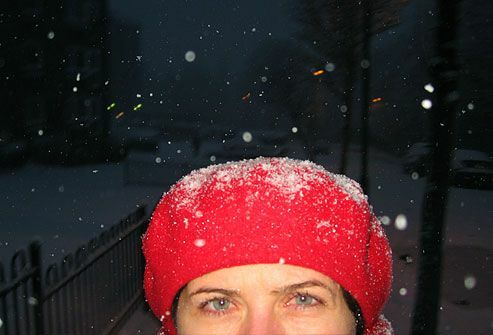 Cold, dry winter weather in particular can make dandruff worse. 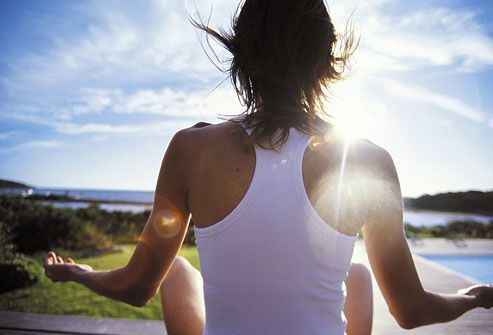 Stress or fatigue can trigger or aggravate it, too. Skin problems like acne, eczema, and psoriasis can cause a buildup of dead skin cells on the scalp. People with serious medical problems such as epilepsy, Parkinson's disease, and HIV are prone to developing dandruff. And, for unclear reasons, people recovering from a stroke, heart attack, or head injury are also more likely to have dandruff. Sometimes what seems like dandruff can be an entirely different condition. Head lice are itchy and lay eggs that look like dandruff, but they're harder to shake off or brush out. Or your scalp could be itching from ringworm, a fungus that causes dandruff-like flakes. 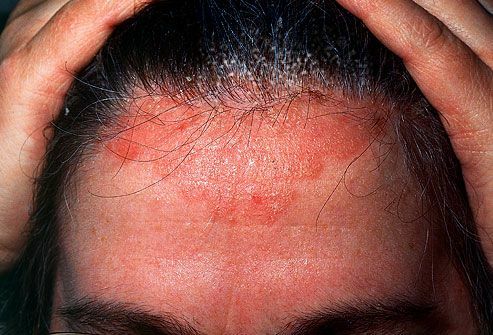 With ringworm, you might also have round patches of hair loss and blistered, scaly areas on your scalp. 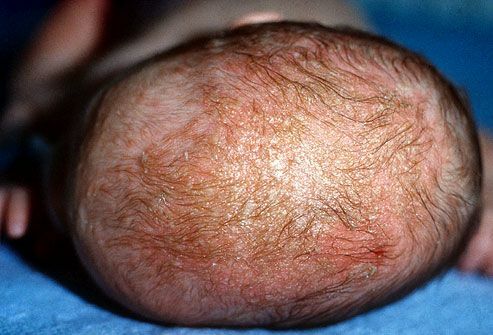 When babies have seborrheic dermatitis, it's called cradle cap. The brown or yellow scales may be itchy. You may find it on the skin of a baby's scalp, eyelids, nose, and groin area. Cradle cap normally clears up on its own by the time the baby is 8 to 12 months old. Try putting mineral or vegetable oil on the baby's scalp for 10 minutes, then washing with a mild baby shampoo. Talk to your health care provider if it doesn't go away. 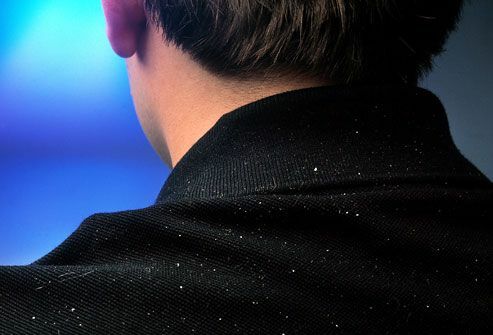 Dandruff: Harmful or Just Annoying? Although having dandruff can be embarrassing, it's harmless. It doesn't mean that you're not clean. It's not contagious: You can't catch it or pass it along to someone else. Dandruff doesn't directly cause hair loss, but scratching your scalp a lot could cause temporary hair loss. American Osteopathic College of Dermatology: "Seborrheic Dermatitis." CDC: "May Is Skin Cancer Awareness Month: Protect Your Skin." Children's Hospitals and Clinics of Minnesota: "Cradle Cap." EczemaNet, American Academy of Dermatology: "Seborrheic Dermatitis." FDA: "Sun Safety -- Save Your Skin!" International Alliance of Hair Restoration Surgeons: "Can Dandruff Cause Hair Loss?" KidsHealth: "Dandruff (Seborrheic Dermatitis)," "Dandruff," "Taking Care of Your Hair." Satchell, A. Journal of the American Academy of Dermatology, December 2002. 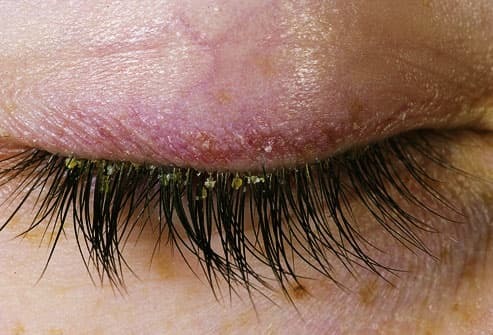 Cleveland Clinic: "Head Lice," "Athletes Foot, Jock Itch and Ringworm," "Seborrheic Dermatitis." U.S. Department of Health and Human Services: "Seborrheic Dermatitis." U.S. Environmental Protection Agency: "Healthy Hair Care and the Environment." Vardy, D. Journal of Dermatological Treatment, 1999. Wuthi-Udomlert, M. Southeast Asian Journal of Tropical Medicine and Public Health, March 2011.